Laursen P (2010). Training for intense exercise performance: high-intensity or high-volume training? Scand J Med Sci Sports. 2010, 20 Suppl 2:1-10. Oliveira BR, Slama FA, Deslandes AC, Furtado ES, Santos TM.Continuous and high-intensity interval training: which promotes higher pleasure? PLoS One. 2013 Nov 26;8(11):e79965. Gabbett TJ. Reductions in pre-season training loads reduce training injury rates in rugby league players. Br J Sports Med. 2004 Dec;38(6):743-9. What's new on small-sided games? 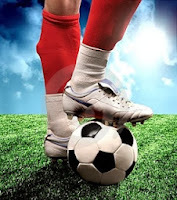 A number of interesting papers have been published on small-sided games. Without ignoring the importance of each one of them, I would like to focus more on the paper published by Fradua and colleagues in the Journal of Sports Sciences (Fradua et al., 2013). The aim of the study was to examine, among others, the individual playing area and length and width of the rectangles during professional football (soccer) matches. The individual playing area ranged from 79 to 94 m2. Rectangle length and width varied at different playing zones (1-6; zone 1 was the zone nearest the goal of the team in possession of the ball & zone 6 was the one nearest the opponent's goal). What's new in sport science? Tohe aim was to examine the relationship between combined training and game loads and injury risk in elite Australian footballers. Prospective cohort study. Forty-six elite Australian footballers (mean ± SD age of 22.2 ± 2.9 y) from one club were involved in a one-season study. Training and game loads (session-RPE multiplied by duration in min) and injuries were recorded each time an athlete exerted an exercise load. Rolling weekly sums and week-to-week changes in load were then modelled against injury data using a logistic regression model. Odds ratios (OR) were reported against a reference group of the lowest training load range. Larger 1 weekly (>1750 AU, OR = 2.44–3.38), 2 weekly (>4000 AU, OR = 4.74) and previous to current week changes in load (>1250 AU, OR = 2.58) significantly related (p < 0.05) to a larger injury risk throughout the in-season phase. Players with 2–3 and 4–6 years of experience had a significantly lower injury risk compared to 7+ years players (OR = 0.22, OR = 0.28) when the previous to current week change in load was more than 1000 AU. No significant relationships were found between all derived load values and injury risk during the pre-season phase. In-season, as the amount of 1–2 weekly load or previous to current week increment in load increases, so does the risk of injury in elite Australian footballers. To reduce the risk of injury, derived training and game load values of weekly loads and previous week-to-week load changes should be individually monitored in elite Australian footballers. The physiological response, time-motion characteristics and reproducibility of various speed endurance drills in elite youth soccer players: small sided games vs generic running. The aim of the study was to quantify the physiological responses, time-motion characteristics and reproducibility of various speed endurance production (SEP) and speed endurance maintenance (SEM) drills. Twenty-one elite male youth soccer players completed four drills: (1) SEP 1 v 1 small sided game, (2) SEP running drill, (3) SEM 2 v 2 small sided game and (4) SEM running drill. The SEP drills consisted of eight bouts of 30 s with 120 s recovery (1:4 exercise to rest ratio) whilst SEM drills encompassed eight bouts of 60 s with 60 s recovery (1:1 exercise to rest ratio). Heart rate response, blood lactate concentration, rating of perceived exertion and time-motion characteristics were recorded for each drill. The SEP and SEM running drills elicited greater (P<0.05) heart rate responses, blood lactate concentrations and subjective ratings of perceived exertion than the equivalent small sided games (ES: 1.1-1.4 & 1.0-3.2). Players covered less (P<0.01) total distance, high-, very high-speed running and sprint distance in the SEP and SEM small sided game's compared to the equivalent running drills (ES: 6.0-22.1 & 3.0-18.4). Greater distances (P<0.01) were covered in high and maximum acceleration/deceleration bands during the SEP and SEM small sided game's compared to the equivalent running drills (ES: 2.6-4.6 and 2.3-4.8). Small-moderate test-retest variability was observed for heart rate response (CV: 0.9-1.9%), ratings of perceived exertion (CV: 2.9-5.7%) and blood lactate concentration (CV: 9.9-14.4%); Moderate-large test-retest variability was observed for high-intensity running parameters (CV: >11.3%) and the majority of acceleration/deceleration distances (CV: >9.8%) for all small sided games and running drills. The data demonstrate the differential response of SEP and SEM training for taxing various energy systems and the superior acceleration/deceleration profiles of small sided games compared to generic running drills. Effects of small-sided game and change-of-direction training on reactive agility and change-of-direction speed. The purpose of this study was to determine the effects of training change-of-direction speed and small-sided games on performance in the Planned-AFL agility test and reactive agility. Twenty-five elite-standard U-18 Australian Rules football players were randomly allocated either to a change-of-direction group or a small-sided games group. Players participated in one or two 15-min sessions per week with 11 sessions conducted over a 7-week period during the season. Tests conducted immediately before and after the training period included the Planned-AFL agility test and a video-based reactive agility test specific to Australian Rules football. The reactive agility test variables were total time, decision time and movement response time. The small-sided games group improved total time (P = 0.008, effect size = 0.93), which was entirely attributable to a very large reduction in decision time (P < 0.001, effect size = 2.32). Small-sided games produced a trivial change in movement response time as well as in the Planned-AFL agility test (P > 0.05). The change-of-direction training produced small to trivial changes in all of the test variables (P > 0.05, effect size = 0-0.2). The results suggest that small-sided games improve agility performance by enhancing the speed of decision-making rather than movement speed. The change-of-direction training was not effective for developing either change-of-direction speed as measured by the Planned-AFL test or reactive agility. Preconditioning strategies to enhance physical performance on the day of competition. Sports scientists and strength and conditioning professionals spend the majority of the competition season trying to ensure that their athletes' training and recovery strategies are appropriate to ensure optimal performance on competition day. However, there is an additional window on the day of competition where performance can be acutely enhanced with a number of preconditioning strategies. These strategies include appropriately designed warm-up, passive heat maintenance, postactivation potentiation, remote ischemic preconditioning, and, more recently, prior exercise and hormonal priming. The aim of this review was to explore the potential practical use of these strategies and propose a theoretical timeline outlining how they may be incorporated into athlete's precompetition routine to enhance performance. For the purpose of this review the discussion is confined to strategies that may enhance performance of short-duration, high-intensity sports (eg, sprinting, jumping, throwing). We examined the effect of growth hormone (GH) on connective tissue of tendon and skeletal muscle during immobilisation and re-training in humans. Young men (20-30 years; n=20) were randomly assigned to daily recombinant GH (rhGH)(33-50μg/kg/d) or placebo (Plc), and had one leg immobilised for two weeks followed by six weeks of strength training. Cross sectional area (CSA), maximal muscle strength (MVC) and biomechanical properties of m.quadriceps and patellar tendon were determined. Muscle and tendon biopsies were analysed for mRNA of collagen (COL-1A1/3A1), insulin-like growth factors (IGF-1Ea/Ec), lysyloxidase (LOX), matrix metalloproteases (MMP-2 and -9), decorin and tenascin-C. Fibril morphology was analysed by transmission electron microscope (TEM) to detect changes in fibril diameter distribution. In muscle the CSA and MVC declined with immobilisation, and recovered with rehabilitation similar in both groups. Likewise, both groups increased in IGF-1Ea/Ec and COL-1A1/3A1 expression in muscle during re-training after immobilisation compared to baseline, and the rise was more pronounced when subjects recieved GH. The tendon CSA did not change during immobilisation, but increased in both groups during six weeks of rehabilitation (~14%). A decline in tendon stiffness after immobilisation was observed only in Plc, and an increase during six weeks rehabilitation was observed only in GH. IGF-1Ea and COL-1A1/3A1 mRNA increased with immobilisation in the GH group only, and LOX mRNA was after immobilisation higher in the GH group vs Plc. Both groups increased in MMP-2 with immobilisation, whereas no changes in MMP-9, decorin and tenascin-C were observed. Tendon fibril diameter distribution remained unchanged in both groups. In conclusion, GH stimulates collagen expression in both skeletal muscle and tendon and abolishes the normal inactivity related decline in tendon stiffness and LOX, and results in an increased tendon CSA and stiffness during rehabilitation. GH has a matrix stabilising effect during periods with inactivity and rehabilitation in humans. Why do humans vary in their responses to exercise training? The concept of human variation in response to exercise training has been introduced about 30 years ago. Since the early 1980s a number of studies have supported this concept. In addition, several studies have shown that there is a genetic component that may explain the interindividual variation to training adaptations. Professor Claude Bouchard, a pioneer on genetics of human adaptability to training, has summarized the available evidence in a review article last year. I know from my experience that many sports scientists might face difficulties to persuade their managers or senior management of the power of their plans. 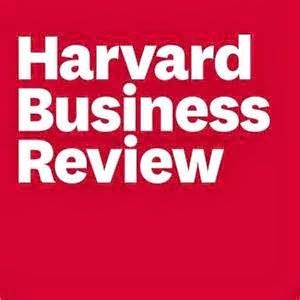 To help you towards becoming more effective in your communication, I am quoating below a relevant tip by the Harvard Business Reviews. I have highlighted some points which, I think, are more crucial. Before you can build a compelling case for a new product or initiative at your company, make sure the business need is crystal clear. 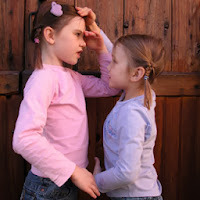 If your stakeholders don’t understand and agree with your explanation of the problem, they’re not going to approve it. Start by talking to the people who are directly affected by the problem and will therefore benefit from the solution. Ask them: When did the issue start? How does it manifest itself? Gather any relevant data, reports, surveys—whatever evidence they can provide. But don’t just take people’s word for it. If possible, observe the issue firsthand. Through conversations with your beneficiaries and your own observations, develop a full picture of the problem so your solution is that much more enticing." 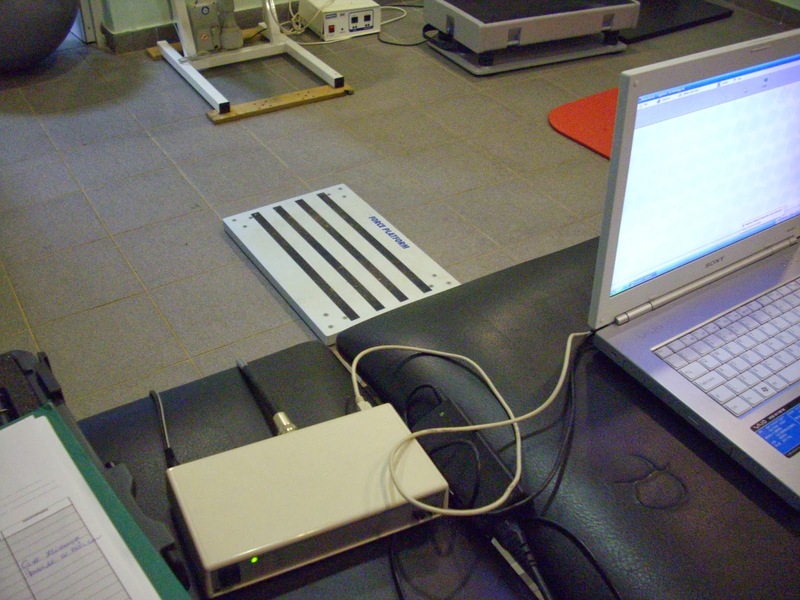 Most of the sport scientists use isokinetic strength assessments to evaluate bilateral strength assymetry. However, this method is expensive and time consuming. It can also be argued that both the speed and the mode of muscle action is far from what is happening in real life. It appears that performing a vertical jump test on a force platform is a good alternative. It is much cheaper and evaluates muscle strength assymetries with a functional test. This test should be repeated for the left and the right leg unless you have a system with two synchronized force platforms. Impellizzeri and his colleagues (MSSE 2007) have used this test and suggested that the range of normal bilateral assymetry should by -15 to 15%. These normative values are from more than 300 Italian football players (professional, semi-professional and amateur level). 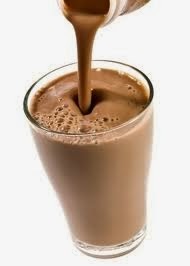 Chocolate milk for optimum recovery? I believe that it is important to learn by example. That's why I decided to post the link below showing Roger Bannister to brake one of the man's greatest barriers; the 4 min mile. 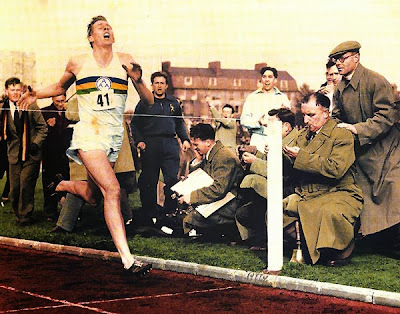 This historic event took place on 6 May 1954 during a meet between British AAA and Oxford University at Iffley Road Track in Oxford. It was watched by about 3,000 spectators. It is an inspirational video that I hope all will enjoy! Are you keen in learning keys for success from Sir Alex Ferguson? In this October’s edition of the Harvard Business Reviews Professor Anita Elberse and Sir Alex Ferguson collaborated to summarize key strategies to Ferguson’s successful career. These approaches apply to other places and life conditions. For me, it was an exciting time to read this paper. I have learned a lot. I am sure you will enjoy the reading too. Which is the most effective method to improve football-specific decision-making? Warren Young and Nathan Rogers from Australia investigated the effect of two different training methods on planned and reactive agility tests. Although the data are on Australian rules players, I think they apply also to football (soccer). 25 U18 players were randomly assigned to 2 training groups i) the change of direction group, ii) the small-sided game group. Players performed 11 sessions, of 15 min each, in 7 weeks. A planned-AFL agility test and a video-based reactive agility test were performed before and after intervention. The small-sided games group improved total time in the reactive agility test and this was entirely due to a very large reduction in decision time. Small-sided games produced a trivial change in movement response time as well as in the planned-AFL agility test. The change-of-direction training produced small to trivial changes in all of the test variables. Small-sided games seems to improve agility and this may be due to better speed of decision-making. The specific change of direction training was not effective in improving either agility or reactive agility, at least in this group of players. What’s new in sport science? Skein M, Duffield R, Minett GM, Snape A, Murphy A. The Effect of Overnight Sleep Deprivation Following Competitive Rugby League Matches on Post-Match Physiological and Perceptual Recovery. Int J Sports Physiol Perform 2013; 8: 556-564. This study examined the effects of overnight sleep deprivation on recovery following competitive rugby league matches.Eleven male, amateur rugby league players performed two competitive matches, followed by either a normal night's sleep (~8h; CONT) or a sleep deprived night (~0h; SDEP) in a randomised fashion. Testing was conducted the morning of the match, and immediately post-match, 2h post and the next morning (16h post-match). Measures included counter-movement jump (CMJ) distance, knee extensor maximal voluntary contraction (MVC), voluntary activation (VA), venous blood creatine kinase (CK) and C-reactive protein (CRP), perceived muscle soreness and a word-colour recognition cognitive function test. Percent change between post- and 16h post-match was reported to determine the effect of the intervention the next morning.Large effects indicated a greater post- to 16h post-match percentage decline in CMJ distance following SDEP compared to CONT (P=0.10-0.16; d=0.95-1.05). Similarly, the percentage decline in incongruent word-colour reaction times were increased in SDEP trials (P=0.007; d=1.75). Further, large effects indicated higher CK and CRP responses 16h post-match during SDEP compared to CONT (P=0.11-0.87; d=0.80-0.88). Sleep deprivation negatively affected recovery following a rugby league match, specifically impairing CMJ distance and cognitive function. Practitioners should promote adequate post-match sleep patterns or adjust training demands the next day to accommodate the altered physical and cognitive state following sleep deprivation. Argus CK, Driller MW, Ebert TR, Martin DT, Halson SL. The Effects of Four Different Recovery Strategies on Repeat Sprint Cycling Performance. Int J Sports Physiol Perform 2013; 8: 542-548. The aim of this study was to evaluate the effectiveness of different recovery strategies on repeat cycling performance where a short duration between exercise bouts is required. Eleven highly-trained cyclists (mean ± SD; age = 31 ± 6 years; mass = 74.6 ± 10.6 kg; height = 180.5 ± 8.1 cm) completed four trials each consisting of three 30 s maximal sprints (S1, S2, S3) on a cycle ergometer, separated by a 20-min recovery period. In a counter-balanced, cross-over design, each trial involved subjects performing one of four different recovery strategies; compression garments (COMP), electro-muscle stimulation (EMS), humidification therapy (HUM) and a passive control (CON). The sprint tests implemented a 60 s pre-load (at an intensity of 4.5 W·kg-1) prior to a 30 s maximal sprint. Mean power output (Watts) for the three sprints, in combination with perceived recovery and blood lactate concentration were used to examine the effect of each recovery strategy. In CON, S2 and S3 were (mean ± SD): -2.1 ± 3.9% and -3.1 ± 4.2% lower than S1. Compared to CON, COMP resulted in a higher mean power output from S1 to S2 (mean ±90%CL: 0.8 ±1.2%; possibly beneficial) and S1 to S3 (1.2 ±1.9%; possibly beneficial); whilst HUM showed a higher mean power output from S1 to S3 (2.2 ±2.5%; likely beneficial) relative to the CON. We would suggest that both compression garments and humidification therapy may be effective strategies to enhance recovery between repeated sprint cycling bouts separated by ~30min. The aim of the present study was to 1) examine the magnitude of between-GPS model differences in commonly reported running-based measures in football, 2) examine between-unit variability and 3) assess the effect of software updates on these measures. Fifty identical brand GPS units (15 SPI-proX and 35 SPI-proX2, 15 Hz, GPSports, Canberra, Australia) were attached to a custom-made plastic sled towed by a player performing simulated match running activities. GPS data collected during training sessions over 4 weeks from 4 professional football players (n = 53 files) were also analyzed before and after 2 manufacturer-supplied software updates. There were substantial differences between the different models (e.g., standardized difference for the number of acceleration >4 m.s-2 = 2.1; 90% confidence limits (1.4, 2.7), with 100% chance of a true difference). Between-unit variations ranged from 1% (maximal speed) to 56% (number of deceleration >4 m.s-2). Some GPS units measured 2 to 6 times more acceleration/deceleration occurrences than others. Software updates did not substantially affect the distance covered at different speeds or peak speed reached, but one of the updates led to large and small decreases in the occurrence of accelerations (-1.24;-1.32,-1.15) and decelerations (-0.45; -0.48,-0.41), respectively. Practitioners are advised to apply care when comparing data collected with different models or units, or when updating their software. The metrics of accelerations and decelerations show the most variability in GPS monitoring and must be interpreted cautiously. The aim of this study was to compare the match performance and physical capacity of players in the top three competitive standards of English soccer. Match performance data were collected from players in the FA Premier League (n=190), Championship (n=155) and League 1 (n=366) using a multiple-camera system. In addition, a selection of players from the Premier League (n=56), Championship (n=61) and League 1 (n=32) performed the Yo-Yo intermittent endurance test level 2 (Yo-Yo IE2) to determine physical capacity. Players in League 1 and the Championship performed more (p<.01) high-intensity running than those in the Premier League (Effect Size [ES]: 0.4-1.0). Technical indicators such as pass completion, frequency of forward and total passes, balls received and average touches per possession were 4-39% higher (p<.01) in the Premier League compared to lower standards (ES: 0.3-0.6). Players also covered more (p<.05) high-intensity running when moving down (n=20) from the Premier League to the Championship (ES: 0.4) but not when players moved up (n=18) standards (ES: 0.2). Similar Yo-Yo IE2 test performances were observed in Premier League, Championship and League 1 players (ES: 0.2-0.3). Large magnitude relationships (p<.05) were observed between Yo-Yo IE2 test performances and the total and high-intensity running distance covered in both Championship (r=.56 and .64) and Premier League matches (r=.61 and .54). The data demonstrate that high-intensity running distance was greater in players at lower compared to higher competitive standards despite a similar physical capacity in a subsample of players in each standard. These findings could be associated with technical characteristics inherent to lower standards that require players to tax their physical capacity to a greater extent but additional research is still required to confirm these findings. Brain stimulation: does it enhance sports performance? Brain stimulation has been introduced more than 100 years ago initially in animal studies and later in clinical studies involving humans. 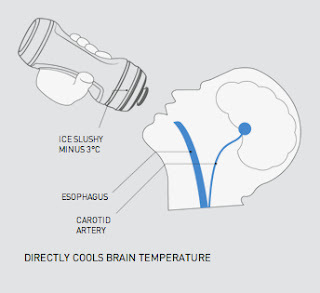 This method was initially designed to help patients with brain injuries but it is now being used in other areas too (for example in exercise physiology research & in skill acquisition studies). 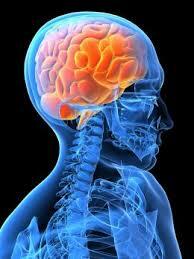 Brain stimulation uses constant, low current delivered to the brain area of interest via surface electrodes. Research in healthy participants has shown that brain stimulation can improve cognitive performance on a variety of tasks depending on the area of stimulation. Based on the current evidence it seems that brain stimulation can be used to enhance exercise training-induced benefits and maximize sports performance. Indeed, studies have shown that skill acquisition rate may improve with brain stimulation and this might have implications for training. If the players/athletes learn better and faster when brain stimulation is being used this will result in improved performance in the long term. Reis et al (2009) had their participants to perform a simple motor task on the computer while receiving transcranial direct current stimulation over the primary motor cortex (experimental condition) or without it. Measurements were performed before the experiment at 5 days of training and at 3 months post training. The results showed better performance for the experimental trial, even at 3 months post-training, compared to the control condition. Other studies have shown that time to fatigue and response time is improved immediately after stimulation and for the following 20-60 min. If this is true in real life situation, players/athletes might feel less tired towards the end of the game if they receive brain stimulation. 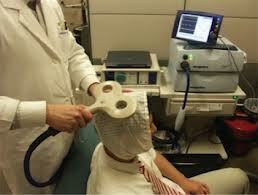 Brain stimulation might also help the players/athletes to feel less tired the days between matches. However, it must be noted that this is only speculation and there is no scientific evidence in favor of this hypothesis. Studies with brain stimulation have been contacted in non-experts and we don’t know what would be the benefits in elite athletes. Results so far are on simple motor tasks and we don’t know the response with more complex tasks as is the scenario in sports. As experts state some health risks may arise when brain stimulation is used outside safety parameters. Cogiamanian et al (2007). Improved isometric force endurance after transcranial direct current stimulation over the human motor cortical areas. Eur J Neurosci 26:242-249. Jang et al (2009). The effect of transcranial direct current stimulation on the cortical activation by motor task in the human brain: an fMRI study. Neurosci Lett 460:117-120. Reis et al (2009). Noninvasive cortical stimulation enhances motor skill acquisition over multiple days through an effect on consolidation. PNAS 106:1590-1595. A nice study was published about two weeks ago by McLean and colleagues from Australia on 30 elite Australian Football players. Twenty one of them completed 19 days of living and training at moderate altitude (around 2130 m) whereas the remaining 9 served as the control group (sea level training). Time-trial running performance in 2000m and hemoglobin mass were assessed before, immediately after the intervention as well as 4 weeks after returning from altitude in both groups. Running performance improved in both conditions. However, the improvement in 2000 m performance was 1.5% greater after altitude training compared with sea level. This beneficial effect was maintained after 4 weeks of altitude training cessation. Hbmass increased by 2.8% with altitude training but returned to baseline values at 4 weeks after returning to sea level. As the authors suggest the maintenance of running performance improvement at 4 weeks after returning from altitude suggests that altitude training may be beneficial to performance in team-sport athletes. It is worth noting, however, that no testing was conducted in the control group at that time. Hence, we don't know if the performance maintenace at 4 weeks postdescent was due to altitude training per se. Finally, whether this benefit translates into improved match running performance in football (soccer) remains to be proven. McLean, Buttifant, Gore, White, Liess and Kemp (2013). Physiological and performance responses to a preseason altitude-training in elite team-sport athletes. Int J Sports Physiol Perform 8:391-399. They are results oriented while at the same time they are modest and shy. They are determined to do whatever neede to achive the best results. On the other hand they are quit, calm, and friendly with the colleagues. They set high goals and work hard and smart to achieve them. Ambitions are for the company not for themselves. They look "in the mirror not out of the window". When something goes wrong they look in the mirror, when things go well they give credit to the team members. They have the ability to "get the right people on the bus, the right peple in the right place and the wrong people off the bus". Importantly, they get self-disciplines people on the bus. If you lead such a team, you spend little time trying to motivate people and hence focus on more important issues. Leaders face the brutal facts, don’t cover them and never lose faith that they will succeed in the end. -What is my passion? Let’s go for it! -How can I make the difference? Leaders preserve their personal and team's core values while they are ready to modify strategies to adapt to a changing environment.